Headquarters Dept. of the Tenn. In my former letters I have answered all your questions save one, and that relates to the treatment of inhabitants known or suspected to be hostile or “Secesh.” This is in truth the most difficult business of our Army as it advances and occupies the Southern Country. It is almost impossible to lay down Rules and I invariably leave this whole subject to the local commander, but am willing to give them the benefit of my acquired Knowledge and experience. …The Southern People entered into a clear Compact of Government with us of the North, but still maintained through State organizations a species of separate existence with separate interest, history and prejudices. These latter became stronger and stronger till at last they have led to war, and have developed the fruits of the bitterest Kind. We of the North are beyond all question Right in our CAuse but we are not bound to ignore the fact that the people of the South have prejudices which form a part of their nature, and which they cannot throw off without an effort of reason, or by the slower process of natural change. The question then arises Should we treat as absolute enemies all in the South who differ from us in opinion or prejudice, Kill or banish them, or should we give them time to think and gradually chance their conduct, so as to conform to the new order of things which is slowly & gradually creeping into their country? Excerpts from a letter from General William T. Sherman to Major Roswell M. Sawyer, January 31, 1864. This letter from the Union general to one of his staff officers was prompted by the winter camps and activities of 1863-1864. 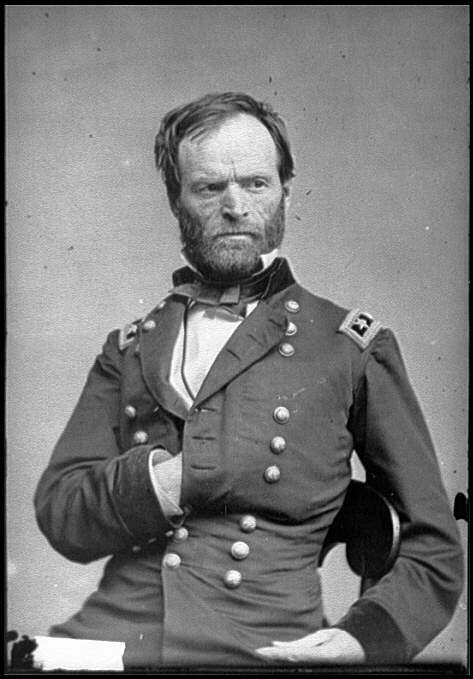 General Sherman placed four of his divisions in south Tennessee and north Alabama to spend the winter and maintain a Union presence in the captured territory. It’s easy to forget that Union armies captured and held large portions of Southern states (Confederate territory) before the war ended. Even by 1862, large tracts had been liberated back to Federal control. Mississippi, Louisiana, parts of Arkansas and Tennessee did not have a “long war” experience, and the military commanders and federal officials in those areas had to start a form of unofficial reconstruction before the conflict was over or even half-finished. Thus, some areas were further along in their reconciliation process when the Reconstruction Acts hit after surrenders in 1865. This did not mean that civilians in the captured areas welcomed the Yankees or submitted tamely to the new plans. As evidenced by Sherman’s letter and other sources, civilians still had the power to spy, sabotage, and cause other mischief to the occupying troops, forcing Union officers to reconsider their policies and steps to ensure their safety and and the safety of the freedmen in the region. While some civilians did manage to avoid lending their wagons, supplies, and open support, many others felt that hiding their allegiance or backing down on their homefront support efforts would betray the cause. This, of course, led to a variety of confrontations in the Union occupied areas, including defiantly flying flags, spying, saying or acting malicious insults, or plain insubordination to reasonable military directives to the civilians. Military vs. Civilians… Public opinion and relationships are always at stake away from the battlefields. Unruly civilians got house arrest or sometimes removal from their homes. Already Union General Benjamin Butler had his infamous reputation for his suggested treatment of defiant Southern women – though most commanders did not take such extreme measures or issue such orders. 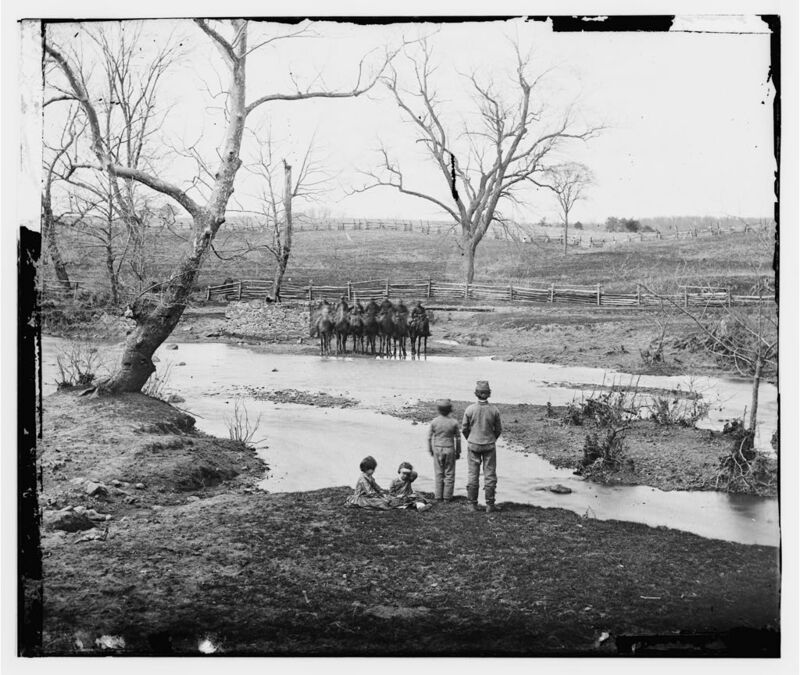 Some civilians refused to stay when the occupying armies approached and refugeed away from their homes, seeking asylum elsewhere in the Confederacy. Sherman admitted it was “the most difficult business of our Army.” They could win battles and recapture territory, but winning the minds and hearts of the civilian population proved to be a much more lengthy and not always pleasant task. This fact does not confine itself to Civil War history. It’s been the plague of almost all conflicts and continues to present itself in modern warfare and politics. How can a civilian population be won or weaponized in the moral and public opinion arena? Sherman had his suggestions for the 1860’s, but over a century and a half later, military commanders still ask similar questions as they attempt to work with local civilians to establish safety and more democratic governments.